Anchorage real estate tends to do very well, meaning if you take the right steps, you can get top dollar for your home. One element of selling your home that you may be wary of is preparing it to be in top-notch condition. Throughout open houses and random buyer visits, keeping your home tidy can be a challenge. From gloves, scarves, boots and more, your entrance way without an entry closet can be a central location for not only the comings and goings of your home, but also the clutter. Check out our tips in order to have a place for everything and have a home ready for buyer visits in a cinch. Benches with cubby holes in the bottom are a fantastic way to have a place for everything. If you have the room for a bench, this is definitely the quickest fix. The baskets underneath hold enough room for shoes or bags. If you have several children they can each have their own basket making for an easy way to find and stash items. Oftentimes you can find these benches at all different price levels, some of them have a backing with hooks and an upper shelf as well. 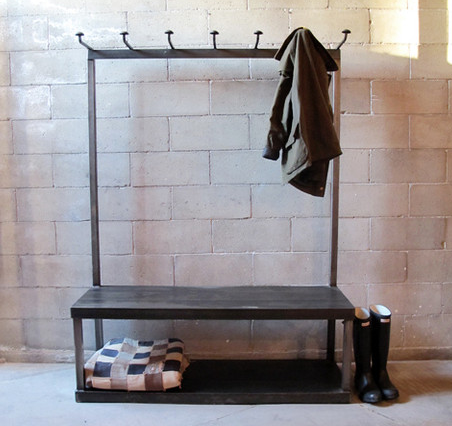 A bench coupled with a coat rack will keep shoes and coats out of the way and out of mind for any visiting buyers. If you are not already using a hallway bench, or do not have enough room, then the next step is to use baskets with attached or detached tops. One or two well placed baskets can house boots and coats as needed. These are convenient when you need to do a quick clean up and can easily toss entryway items into the baskets, close the lids and tuck away entryway clutter in a second. If you do not already have a coat rack, or do not have room, then hanging a few expertly placed hooks is the way to go. Take care to hang hooks that are aesthetically pleasing and will not do damage to the walls. There are several types of wall shelves with hooks so it is a more permanent fix that the next homeowner could potentially keep in place. If you want a quicker fix, there are certain types of hooks that use easily removable adhesive such as Command hooks which come in several designs and varying weights. When it comes to keeping your entrance way and other parts of your home clean, one of the first things to do is leave boots at the front door. Unfortunately, simply taking off the boots and dropping them by the door is messy. A waterproof boot tray right outside the front door or placed out of the way inside the door saves clean-up time and automatically organizes winter footwear. 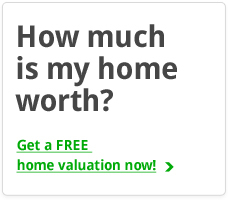 This is a good idea for sellers who have a consistent amount of foot traffic. This way buyers can drop their boots upon entry. This will not only help you keep your home clean of boot tracks, but also facilitate a good impression by way of the buyers. Maybe you do not have a bunch of entryway clutter. If you have this area organized down to the last boot, then maybe you can focus on simplifying. Instead of using a bench or baskets, consider placing a smaller entryway table in your entrance. If needed, you can still fit one basket underneath for shoes. A small basket or bowl on the table will serve as a home for keys or even a candy bowl for visitors. Hang artwork above the table and decorate with coffee table books. The most important point here is to keep it simple. This can be an opportunity for you to set the tone for the rest of your home tour. Whether you’re in a rush or not to sell your Anchorage home, it’s always good to keep your entrance way free of clutter. Not only will this help your home to sell quicker, but it will also allow you to better enjoy living there. Remember, keeping your house neat and organized doesn’t have to be a hassle. Follow the tips mentioned above and you will be well on your way to a better looking home. 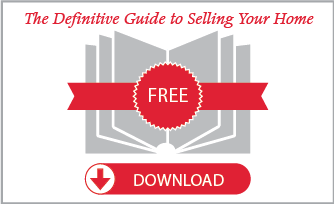 For more tips and tricks about preparing your home to sell, consult one of our agents or our seller ebook below!